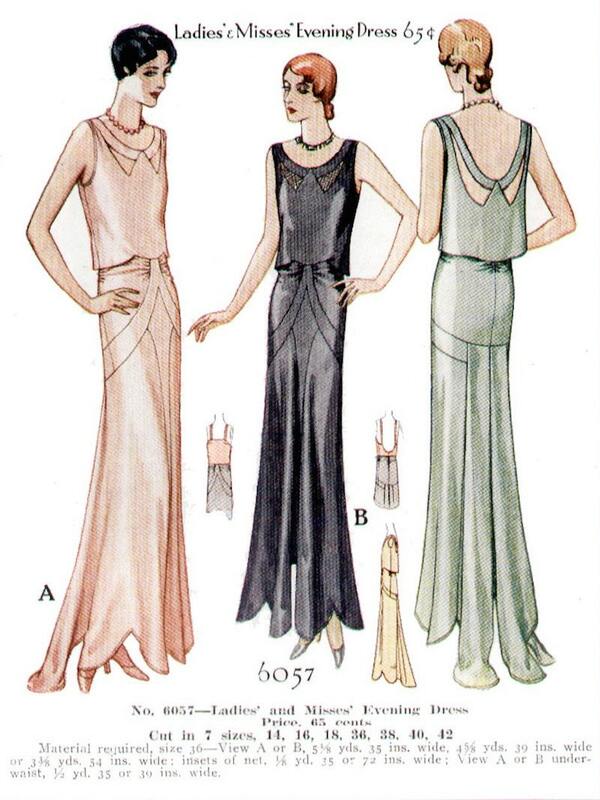 Butterick Fashion Magazine, Fall 1935. 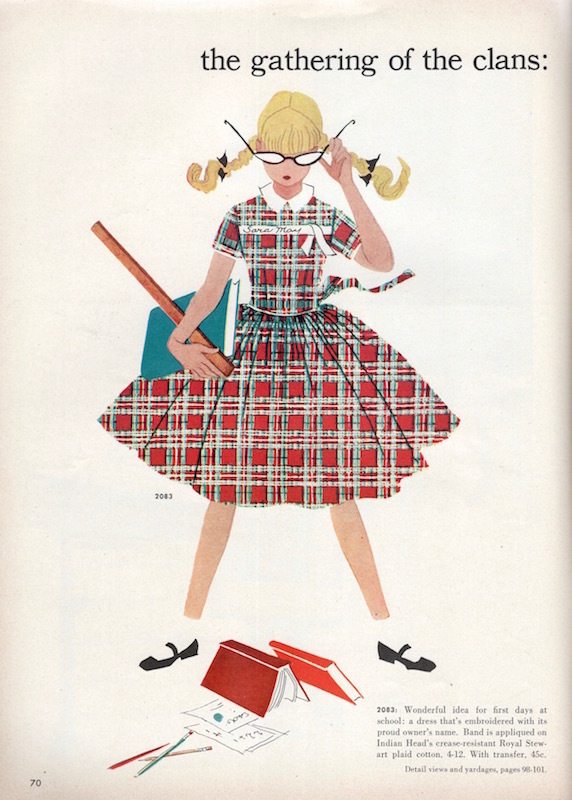 Illustration: Myrtle Lages. 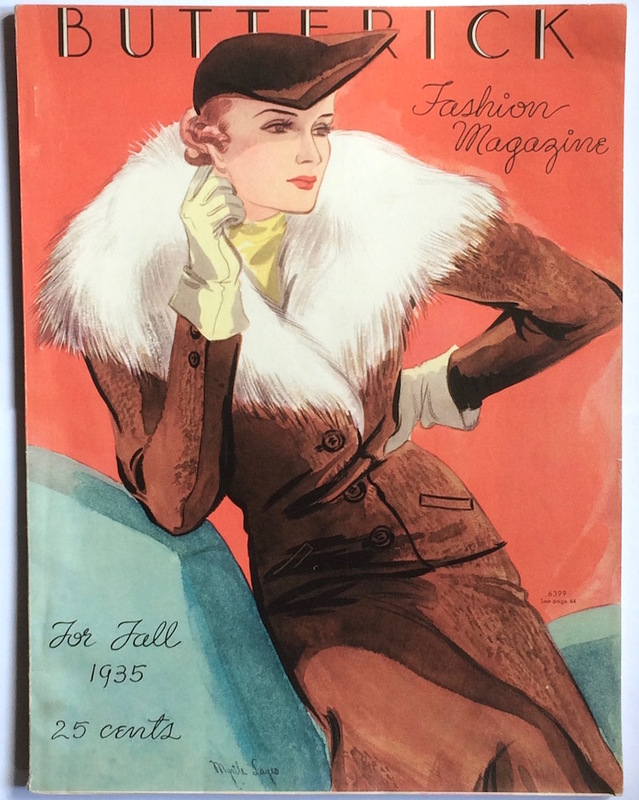 To celebrate the first day of autumn, here’s a vintage Butterick cover from fall, 1935. 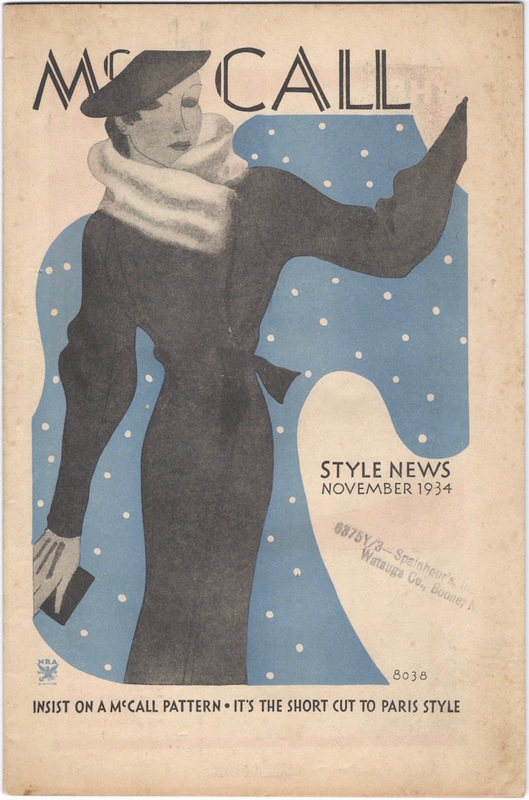 For more on vintage fur, both natural and faux, see Fur Cloth for Fall. 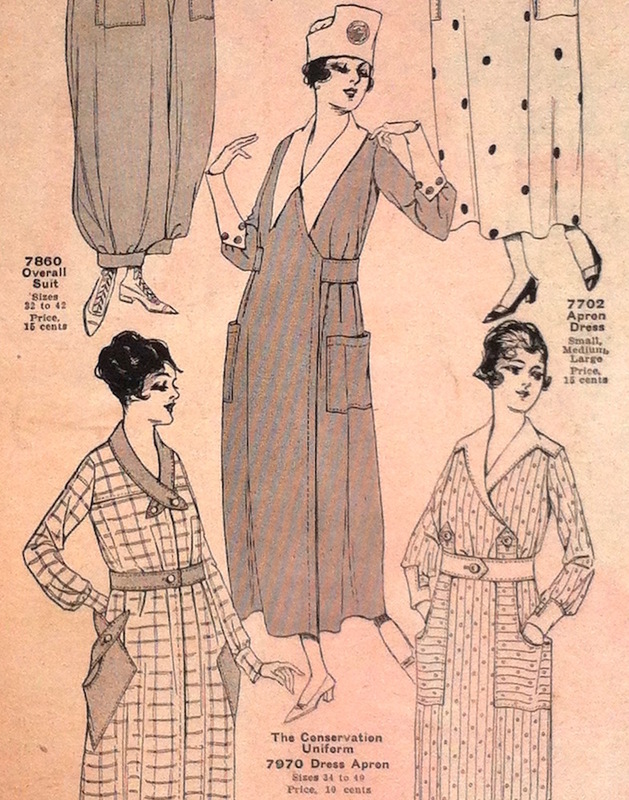 Now that the temperature has dropped, I wanted to share a near-antique McCall News from winter 1917-18. 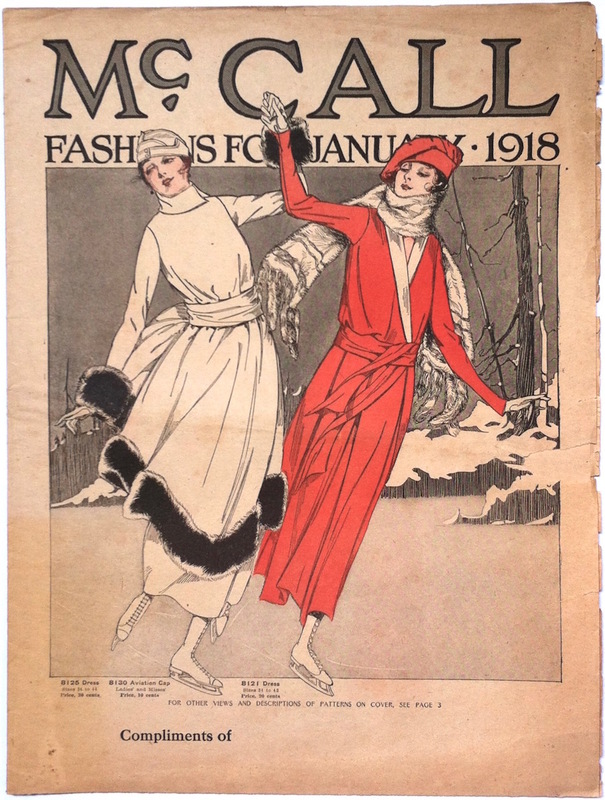 The cover illustration shows two women skating on a frozen lake. 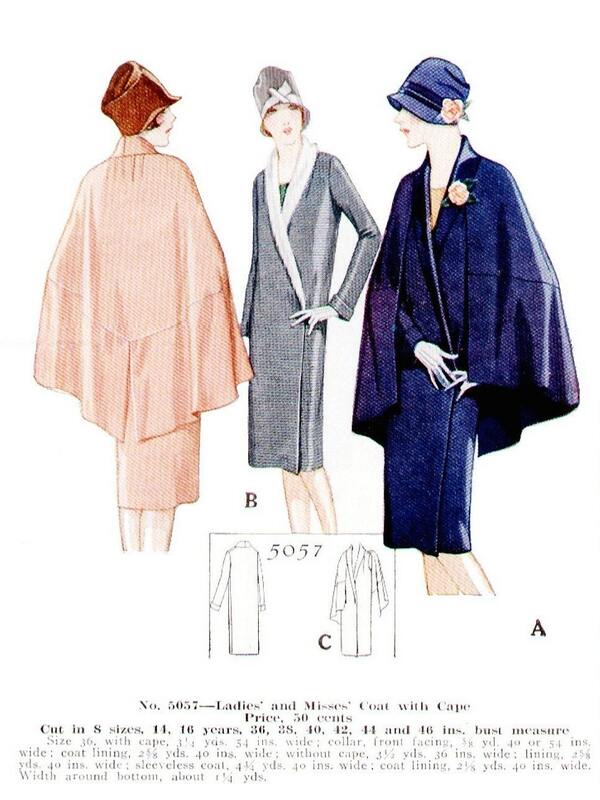 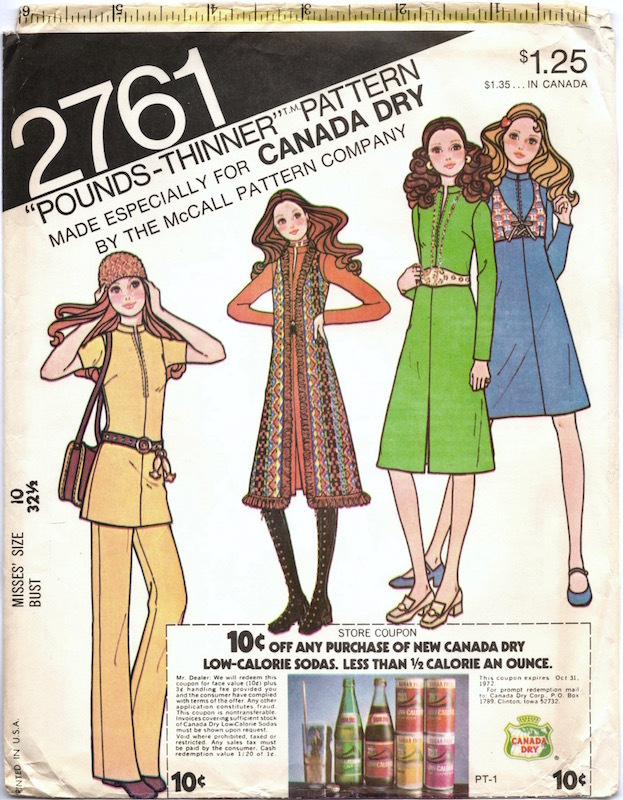 The fur-trimmed dress on the left is McCall 8125, with ‘aviation cap’ McCall 8130; the dress on the right is McCall 8121. 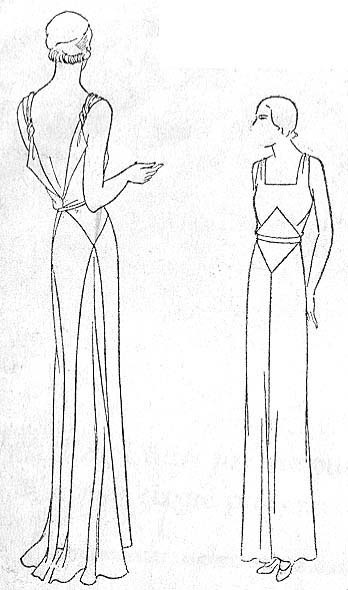 McCall 7860 overall suit in McCall Fashions, January 1918. 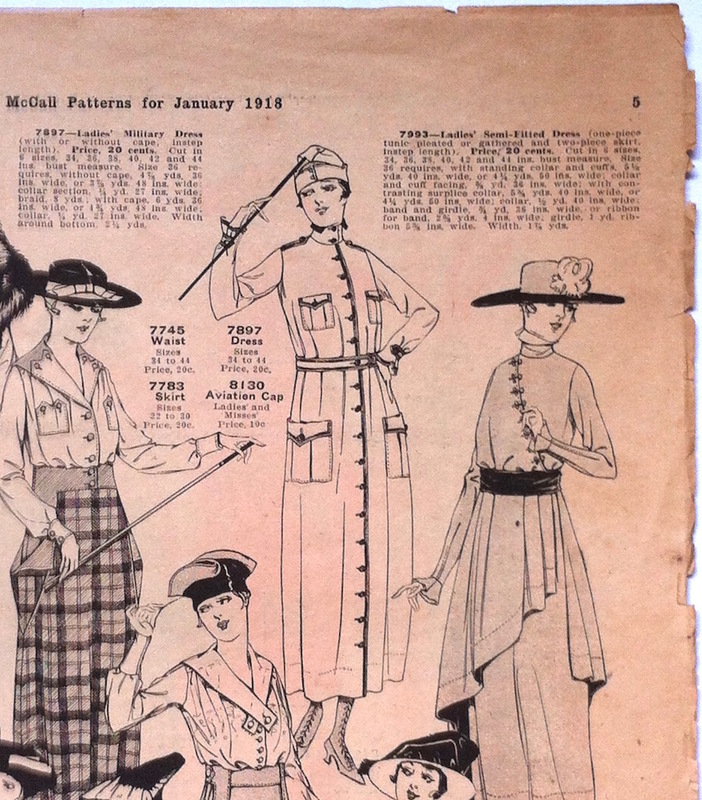 The Conservation Uniform: McCall 7970 dress apron in McCall Fashions, January 1918. 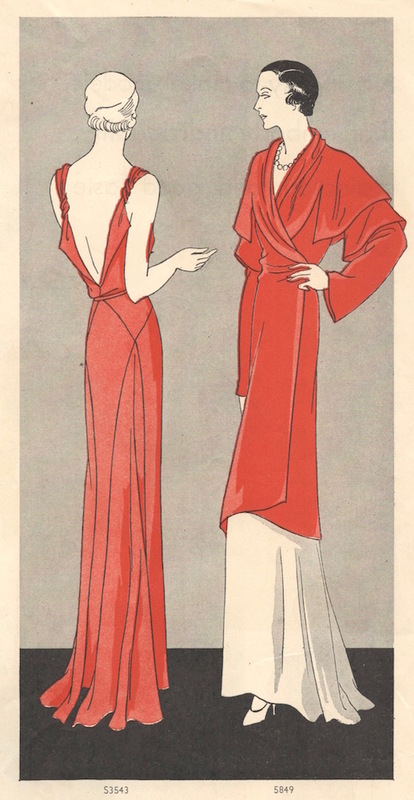 Military dress McCall 7895 and aviation cap McCall 8130 in McCall Fashions, January 1918.